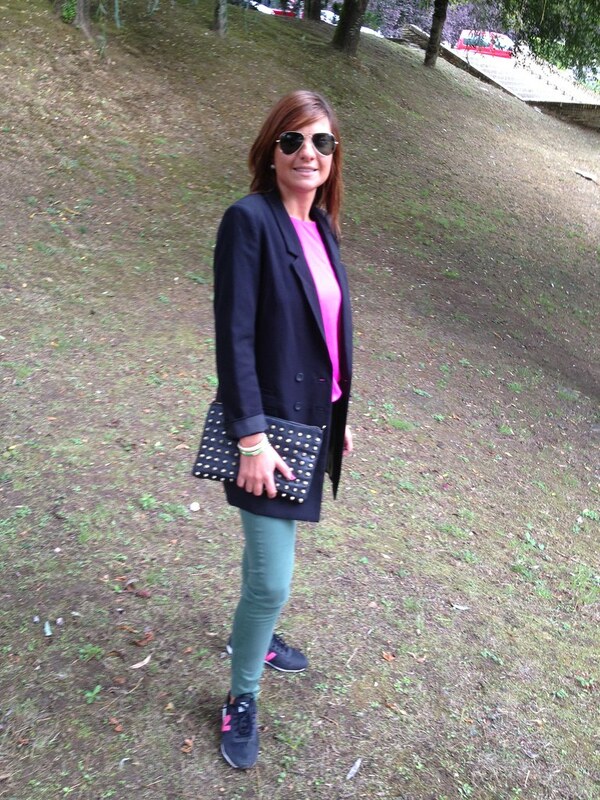 Algo Para Ponerme by Marimi: NEW POST: I LOVE MY NEW BALANCE!! 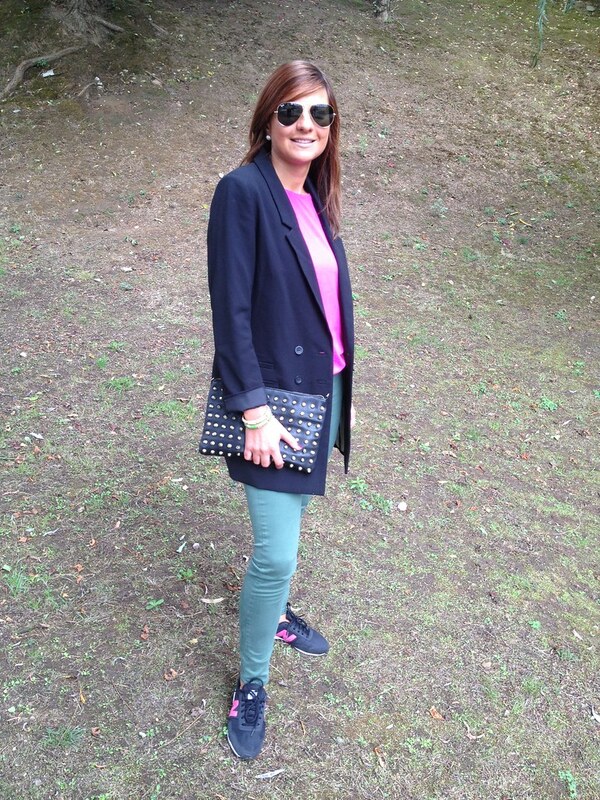 NEW POST: I LOVE MY NEW BALANCE!! 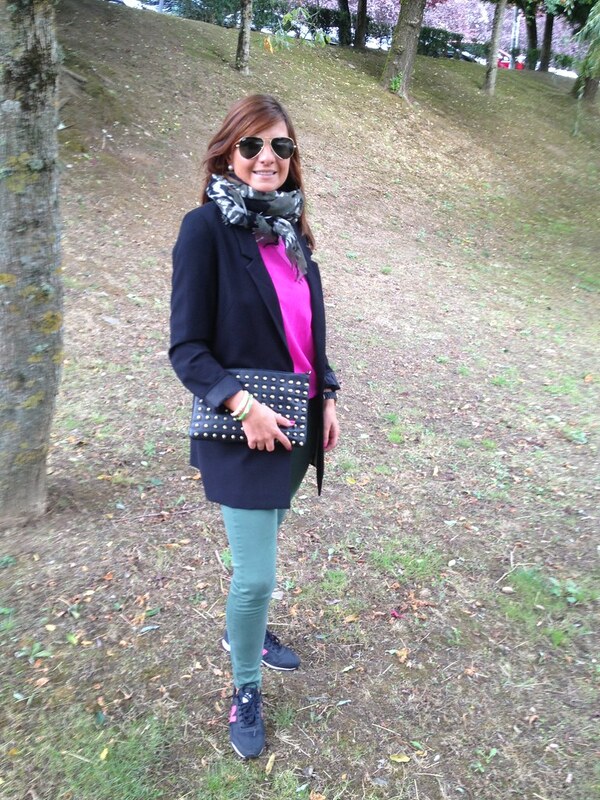 Hola a tod@s hoy os he colgado un look con mis new balance, que las uso muchisímo porque son súper cómodas!! - El pantalón verde de color militar, es muy cómodo y combinable con un montón de prendas. Este color es totalmente tendencia esta temporada. 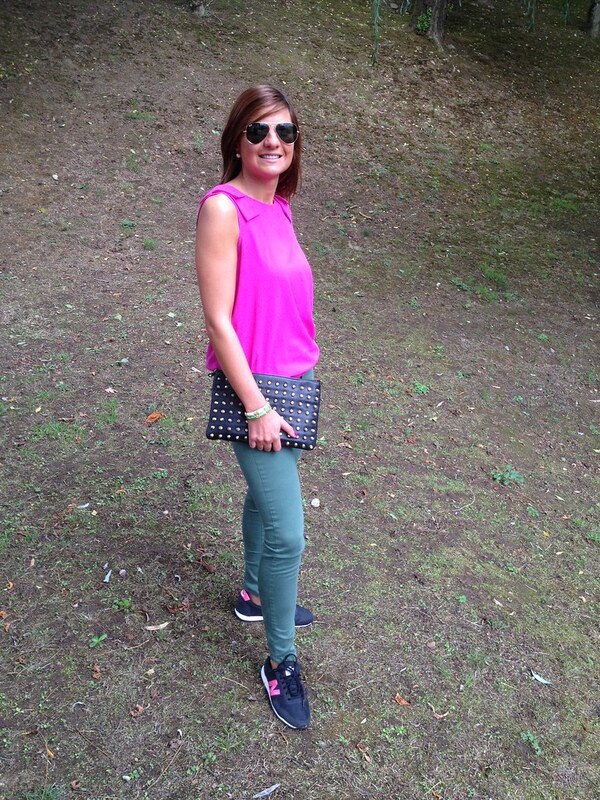 Esta vez lo he combinado con esta blusa color fucsia, me encanta el contraste de ambos!! 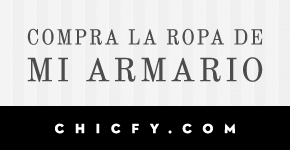 - La americana negra, es un básico que nos puede ayudar para solucionar distintos tipos de looks!! 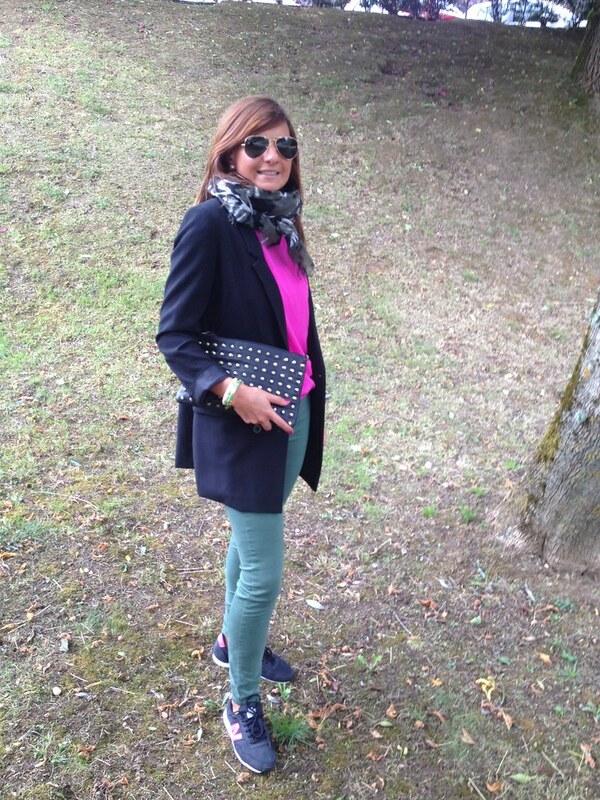 Today, I've posted an outfit with my New Balance sneakers. I wear them very often, because they're super comfortable!! - The green military trousers, very comfortable and easy to combine with many garments. This color is total trend this season. 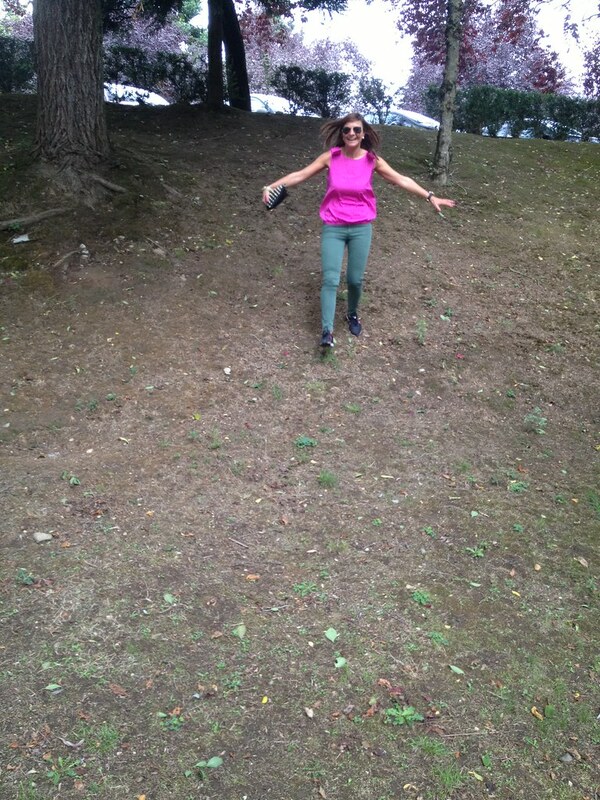 This time, I've combined it with this fuchsia blouse. I love both garments in contrast!! 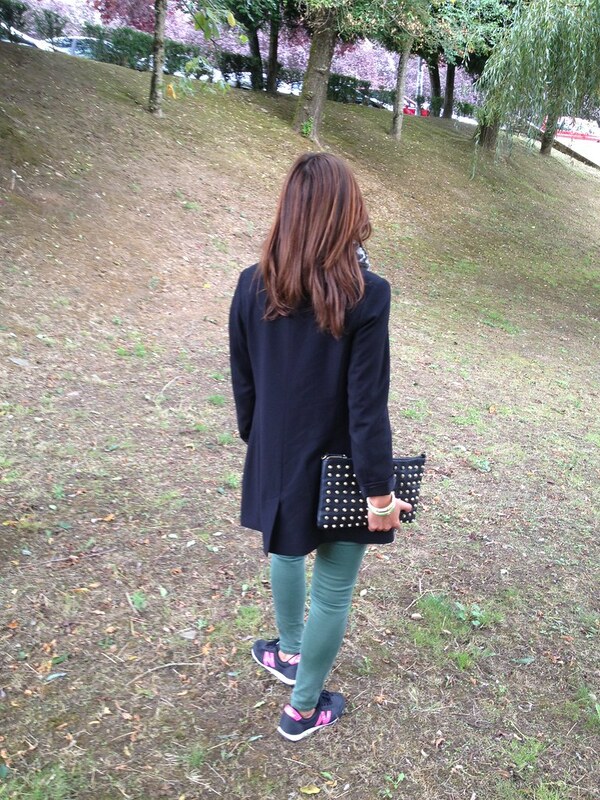 - The black jacket, a basic that can help us to solve different kinds of outfits!! Qué ganas tengo de tener unas new balance!! :) El look genial, y qué sitio tan bonito! QUE GUAPA, ME ENCANTAN LAS ZAPATILLAS! Beautiful, as always!!! Love what it seems to be a new hair color ;)!! !